During the Civil War, the United States enacted the Federal Civil False Claims Act in response to corrupt defense contractors that were defrauding the United States out of vast amounts of money and putting troops at risk by supplying troops with defective products and faulty war equipment. Since the Civil War, many fraudulent defense contractors and other corrupt government contractors have tried to defraud the United States and Department of Defense by seeking payment from the government for defective products, services that were never provided, and dangerous products. If you are aware of a corrupt defense contractor or other large government contractor that is defrauding the United States Government out of millions or billions of dollars and or is selling the United States Defective Goods or Services, contact Texas Defense Contractor Fraud Lawyer, Jason Coomer, for a free online review of your potential Defense Contractor Fraud Lawsuit. Feel free to also use our online submission form. As Private Security and government contractors have become more common in Iraq and other locations around the World, fraudulent government contractors have become more common. As the Bush Administration pushed to limit the number of troops in Iraq, the number of government contractor for security, military support, and other essential services have increased dramatically. The money spent on these government contracts is in the Billions of Dollars. WASHINGTON — The Army official who managed the Pentagon’s largest contract in Iraq says he was ousted from his job when he refused to approve paying more than $1 billion in questionable charges to KBR, the Houston-based company that has provided food, housing and other services to American troops. ATLANTA (AP) — A federal grand jury has indicted a Florida couple and a North Carolina man in what prosecutors call a scheme to rig millions of dollars of water purification contracts for United States military units overseas, officials said Tuesday. The accused — Richard E. Long, 63, and Debra L. Long, 44, of St. Augustine, Fla., and Mack S. Smith, 56, of Bladenboro, N.C. — are charged with conspiracy, bribery of a public official, wire fraud and money laundering, said David E. Nahmias, a United States attorney. WASHINGTON, Oct. 17 — Federal agents are investigating whether several large food companies charged the government excessively high prices for supplies to American troops in Iraq and Kuwait, administration officials said Wednesday. WASHINGTON, Sept. 20 — Military officials said Thursday that contracts worth $6 billion to provide essential supplies to American troops in Kuwait, Iraq and Afghanistan — including food, water and shelter — were under review by criminal investigators, double the amount the Pentagon had previously disclosed. In addition, $88 billion in contracts and programs, including those for body armor for American soldiers and matériel for Iraqi and Afghan security forces, are being audited for financial irregularities, the officials said. Taken together, the figures, provided by the Pentagon in a hearing before the House Armed Services Committee, represent the fullest public accounting of the magnitude of a widening government investigation into bid-rigging, bribery and kickbacks by members of the military and civilians linked to the Pentagon’s purchasing system. If you are aware of a defense contractor, health care provider, financial institute, or other large contractor or subcontractor that is defrauding the United States Government out of millions or billions of dollars, contact Qui Tam Lawsuit Lawyer Jason Coomer. 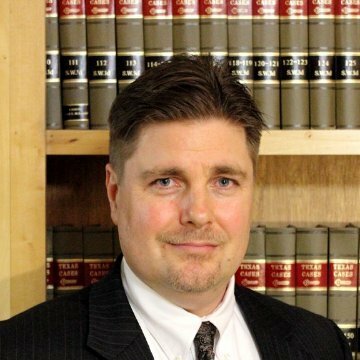 As a Texas Defense Contractor Lawsuit Lawyer, he works with other powerful Qui Tam Lawsuit Lawyers that handle large governmental contractor fraud cases. He works with San Antonio Qui Tam Lawyers, Dallas Qui Tam Lawyers, Houston Qui Tam Lawyers, and other Texas Qui Tam Lawyers as well as with Qui Tam Lawyers throughout the nation to blow the whistle on fraud that hurts the United States and our armed forces.